Create/delete/rename iPhone playlists and photo albums. Data transfer via Wi-Fi Supported. Looking for a quicker, better and smarter alternative to iTunes? 4Media iPhone Max is just the iPhone manager tool you need. Now you can easily backup and transfer movie, music, ringtones, books, contacts, apps, SMS messages (.html and .txt format) and image files in just about any format between iPhone, computer and iTunes. 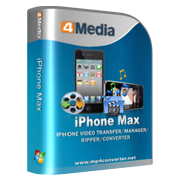 Convert video and audio files to iPhone supported formats convert home CDs/DVDs, Home DVD folders and ISO images to iPhone using this multipurpose iPhone manager. 4Media iPhone Max has introduced NVIDIA CUDA technology, making video conversions 5x faster. Click here for details. 4Media iPhone Max can help you create new playlists,read/export photos and videos shot by the device, manage several iOS devices at one time, check and search files, edit song tags, play music and preview movies, and many other great abilities. You can even access your iPhone content in Windows Explorer once you have this iPhone manager installed on your computer. Moreover, this iPhone manager supports managing multiple iPhone devices simultaneously. Download 4Media iPhone Max for FREE and manage your iPhone without iTunes. Backup iPhone to PC and transfer PC files to iPhone: Move iPhone movies, music, books, apps, contacts, SMS messages and image files including iPhone shot images and videos from your iPhone to your PC and vice versa without iTunes. This iPhone manager helps you transfer and backup iPhone content to iTunes easily. Now support iTunes 12. 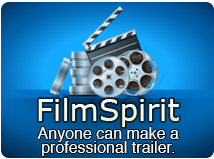 Convert video and audio files to iPhone supported formats, and directly transfer them to iPhone. Convert CDs/DVDs, DVD folders and ISO images to iPhone supported formats, and directly transfer them to iPhone. Transfer application between PC and iPad, also support to manage some applications' documents. Newly support drag and drop. This iPhone manager supports iPad, iPad 2, iPad 3, iPad 4, iPad mini, iPad mini 2, iPad mini 3, iPad mini 4, iPad Air, iPad Air 2, iPad Pro (12.9/9.7/10.5 inch), iPod, nano (5th Gen), iPod mini, iPod shuffle, iPod classic, iPod touch, iPod touch 4, iPod touch 5, iPod touch 6, iPhone, iPhone 3G/3GS, iPhone 4, iPhone 5/5S/5C/SE, iPhone 6/6 Plus, iPhone 6S/6S Plus, iPhone 7/7 Plus, iPhone 8/8 Plus, iPhone X, iPhone XS, iPhone XS Max, iPhone XR. And you can connect them at one time and transfer files between them easily. Don't bother for searching your data connection cable in case it is misplaced 4Media iPhone Max supports data transfer via Wi-Fi. Access and manage iPhone content in Windows Explorer like a removable hard disk. Automatically identifies your iPhone upon connection and displays its information: model, capacity, version number, format, serial number and so on. This iPhone manager software enables you to easily change and edit track information including title, album, artist, composer, and year. Listen to your iPhone music, audio books and podcasts, and preview your iPhone movies with the built-in player. Simple iPhone file search; add album artworks under thumbnail mode; check file properties; rate files and add comments; create your own playlist and rename existed ones. Create, delete and rename photo albums to easily manage iPhone pictures; import one photo into multiple albums for different purposes. Now you can even copy photos from photostream. Conveniently Transfer, edit and manage iPhone ringtones and PDF or EPUB books. Grid View lets you browse all your music, movie, picture by their cover art. Or Search your collection by Album List View, Artist list view, Genres list view or Composers list view. View your music playlist in Thumbnail view. You can put any image as a thumbnail image and apply it to whole genera or album or playlist. To avoid duplicates, you can check a song and see which playlists it's already on and see all of the playlists the song belongs to. More features in the iPhone manager: Intuitive interface design; language interface available in English, German, French, Simplified Chinese, Traditional Chinese and Japanese. Support for SMS back up.